Part of the myriad things we do here at Beyond3D when covering a graphics architecture is go as deep as we can with the personnel at the IHV that actually architected, concocted, designed, built and shipped the thing. That might take the form of an email exchange or phonecall, or maybe a drunken conversation over cheap bar snacks and bad tequila at a tech event in a seedy hotel bar. Whatever works to get the info everyone craves, right? So it's with great pleasure that we managed to corner one (Sir) Eric Demers, architecture lead on R600 -- and one of only two men at AMD with an honourary honourable honour from Her Majesty The Queen -- over a couple of those methods mentioned. Hopefully he wasn't on bad tequila when he wrote the answers. Eric's been in the graphics industry since before real-time consumer 3D acceleration existed, coming to AMD by way of ATI, ArtX and SGI. His pedigree in 3D graphics architecture is pretty much second to none, and he's naturally the guy you'd want to talk to when it comes to understanding R600 that bit better. So big thanks to Eric for taking the time to chat, to Wavey Dave's magic wand, and to the guys at TeamB3D for helping with the questions. We all chipped in for this one, hope you enjoy it. Please do remember that aside from being the lead on R600, Eric was also the tech lead for the I/O port for the cassette storage on the Tandy TRS-80. 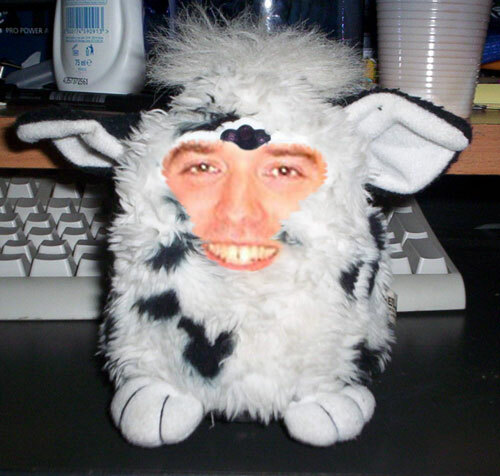 Oh, and he also teamed up with CTO Bob Drebin to hack the first Furby, teaching it how to whistle a modified version of Exeter City FC's "You're So Sh*t It's Unbelievable" chant every time Raja Koduri walks past Eric's cube in their offices in the Valley. So without further ado, let's see what sireric had to say about the Graphics Products Group's newest baby, sans kidding around. Promise. Maybe.